RASACUT XS is the alternative to multiple or bundle cut saws in the manufacture of large-scale series with diameters of 6 to 50 mm. With the single-cut saw RASACUT XS, you improve your quality, reduce unit costs and guarantee high part quality. Areas of application include fuel and brake lines or visible elements such as head rest supports. An essential advantage lies fully automatic process sequence. Through the consistent reduction of auxiliary process times, the RASACUT XS achieves output levels in single cut operation that are just as high as multiple or bundle-cut saws, depending on the measurement range, even higher! Do you need a multiple cut saw for small diameters? Then learn about the RASACUT MXS! In bundle-cut saws, the tubes are bundled together manually. The work pieces are manually counted and bundled and fed into the saw. With the RASACUT XS, the tubes are automatically separated and fed via two independent grippers. This reduces the auxiliary process times for bar switching to a minimum. Additional tube processing after the cut. After separation, the fixed lengths come apart uncontrolled. Additional logistical effort is required to feed the cut tubes to the next stage in processing, such as de-burring– either an automated separator or manually filling a magazine. The RASACUT XS, by comparison, can be modularly expanded into a reliable processing centre. Through the use of two feeding grippers, auxiliary process times for bar switching are reduced to zero. 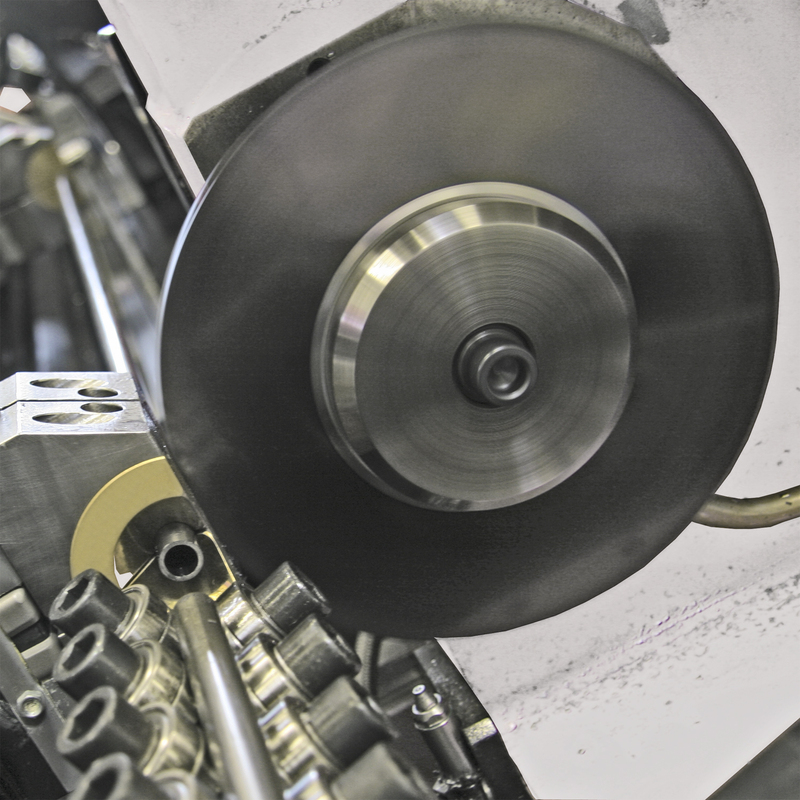 Central tensioning on work pieces makes it possible to use saw blades with small diameters and high RPMs, which increases precision and drastically reduces tool costs. [Cutting Speed: continuous] 30 to 450 m/min.